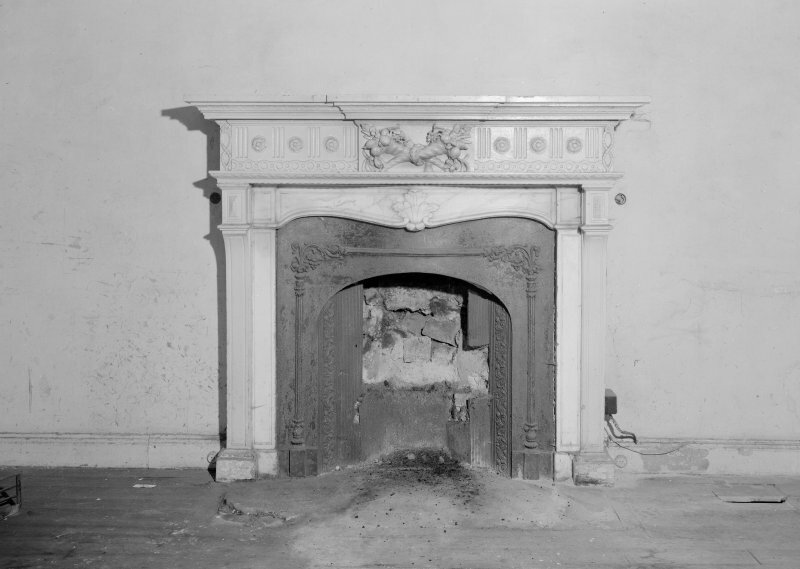 Interior view of Fordell House showing detail of chimney piece. 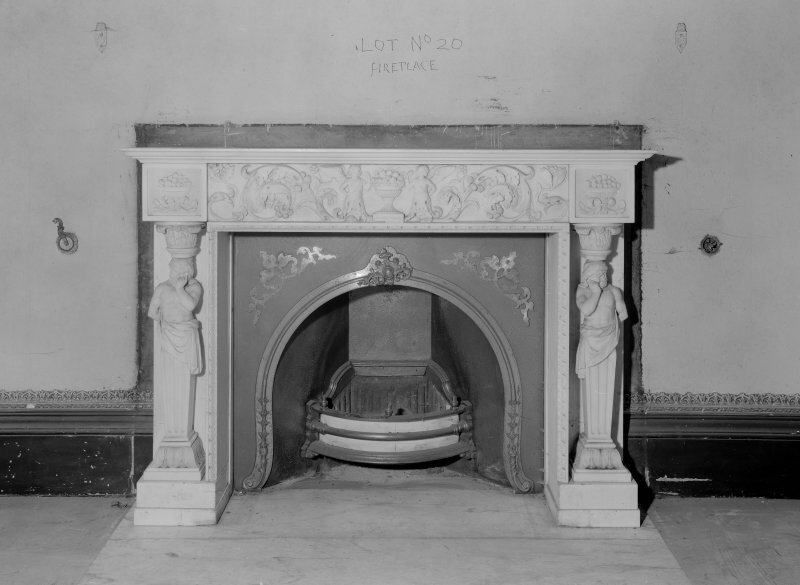 Interior view of Fordell House showing detail of chimney piece at ground floor front. 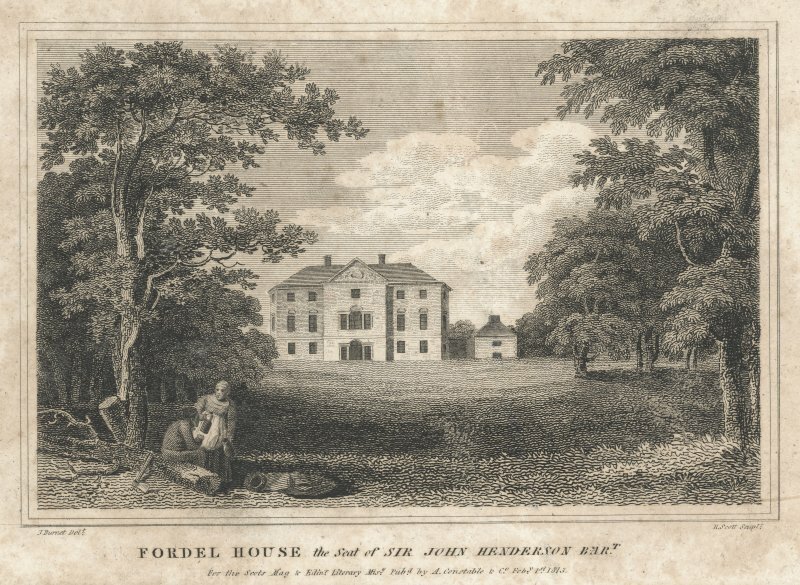 View of Fordell House showing E elevation. 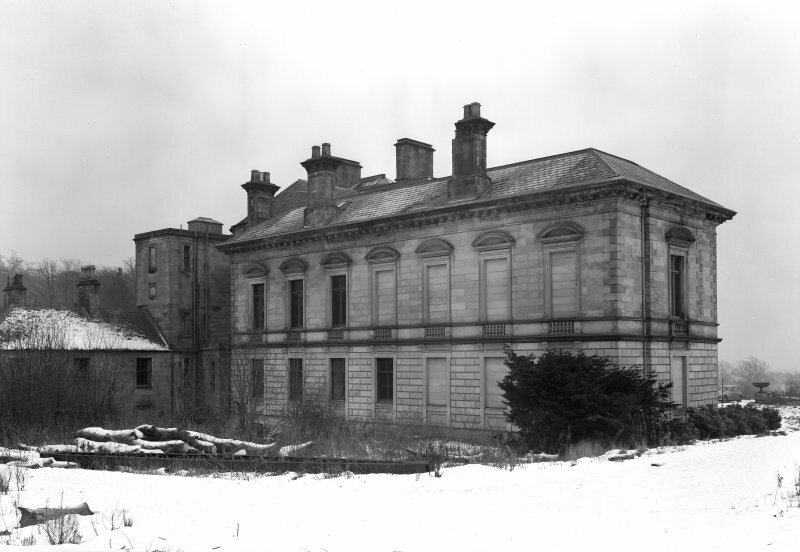 View of Fordell House from NW. 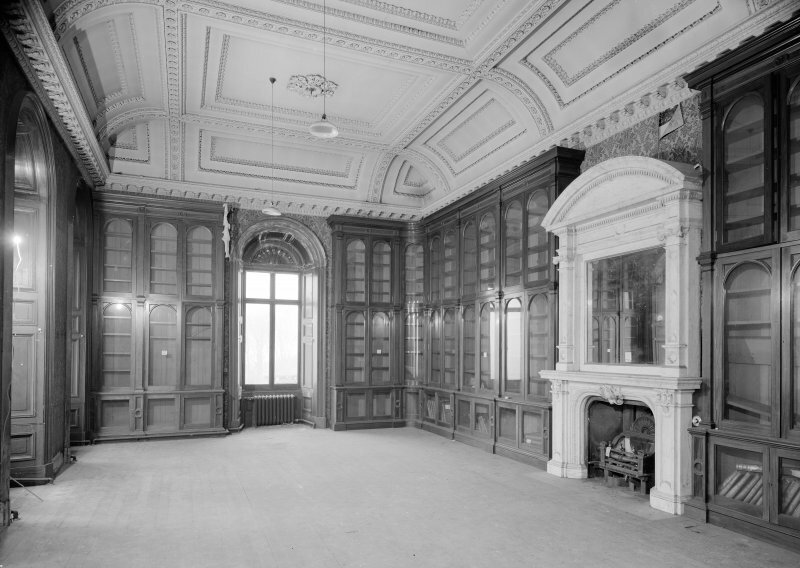 Interior view of Fordell House showing the library. 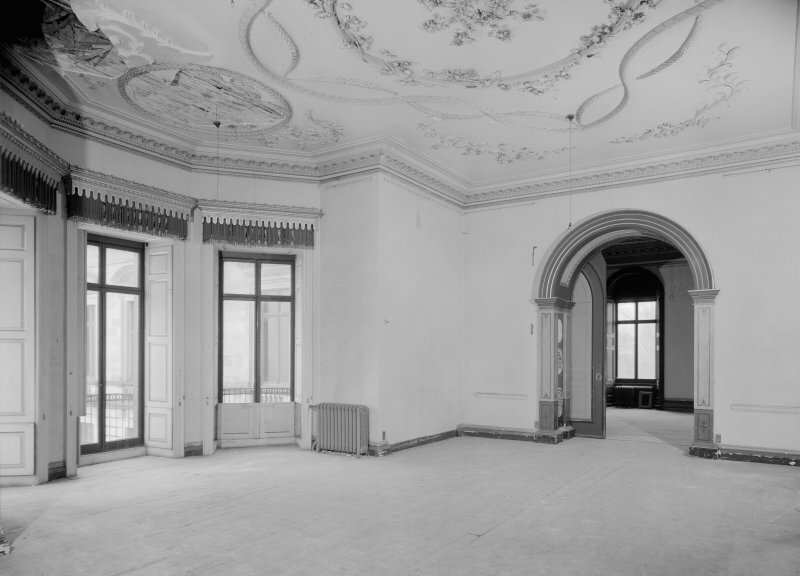 Interior view of Fordell House showing drawing room on first floor. 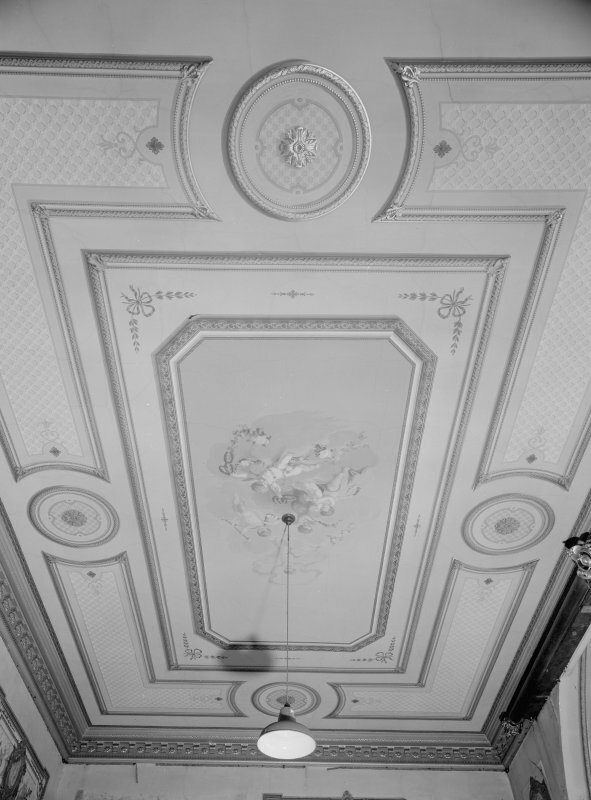 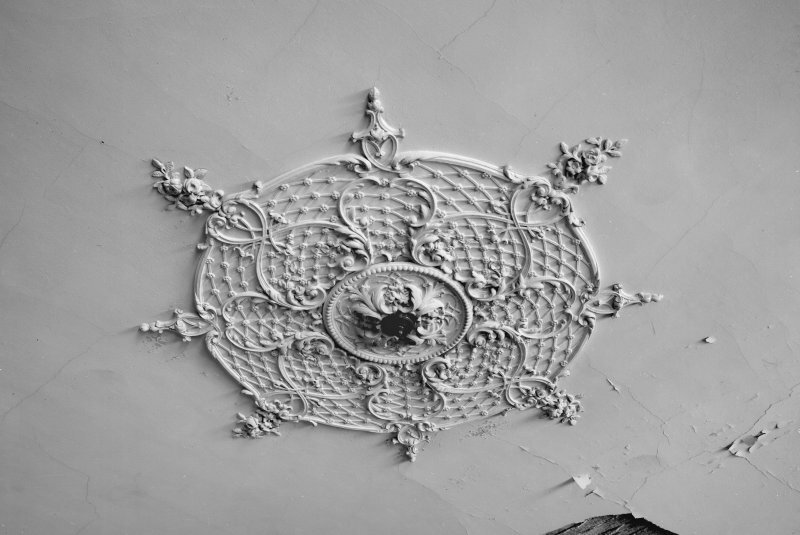 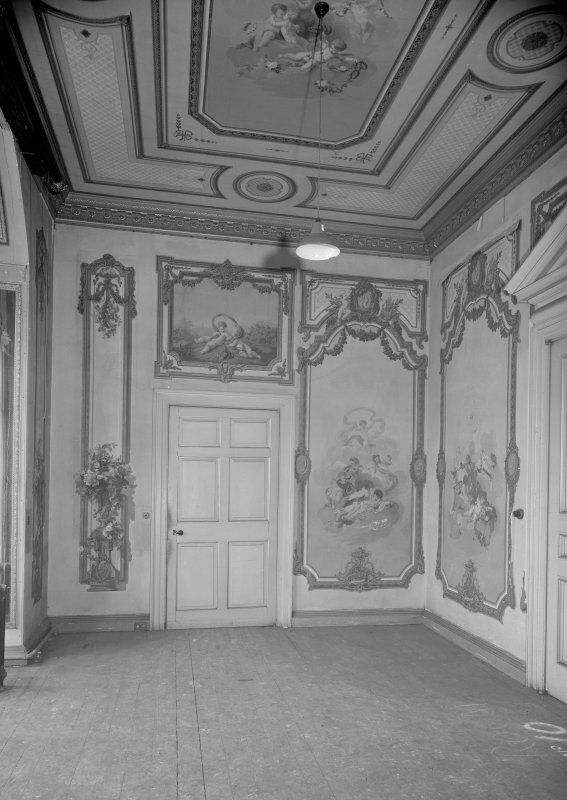 Interior view of Fordell House showing detail of painted ceiling in room at first floor centre front. 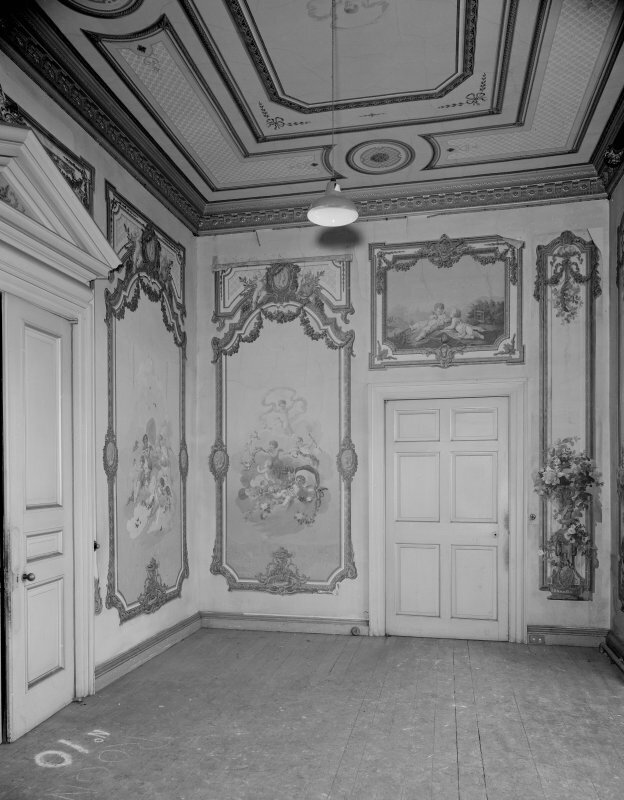 Interior view of Fordell House showing room with painted panels and ceiling at first floor centre front. 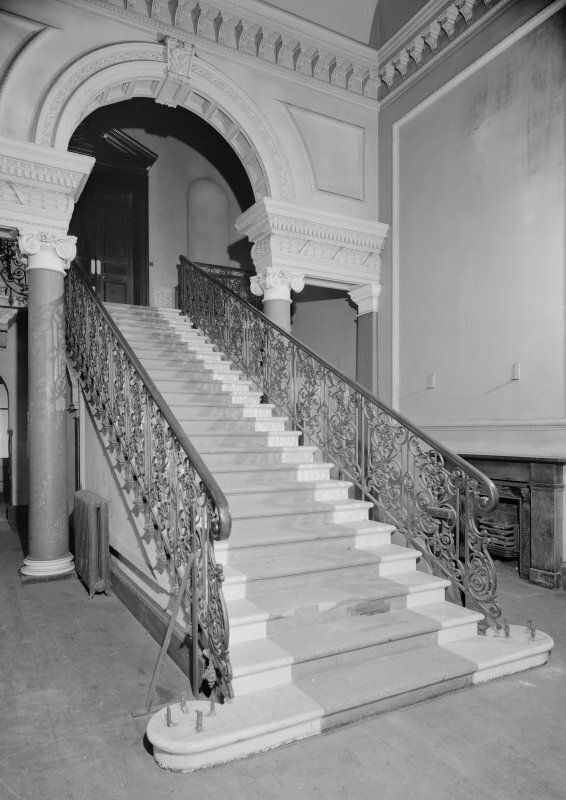 Interior view of Fordell House showing principal staircase. 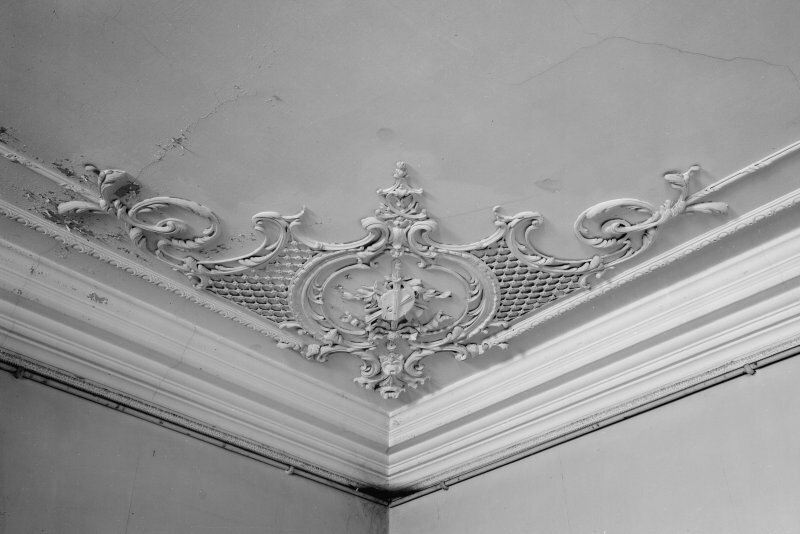 Interior view of Fordell House showing detail of ceiling at ground floor front. 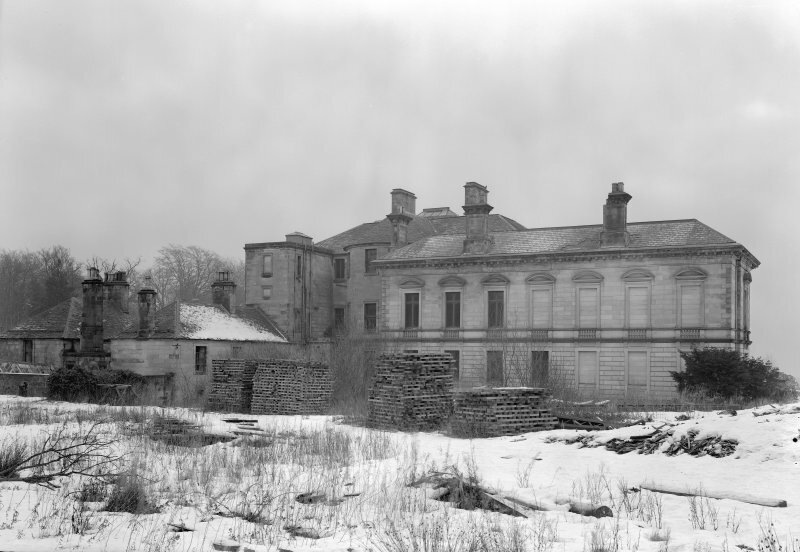 View of Fordell House from NE. 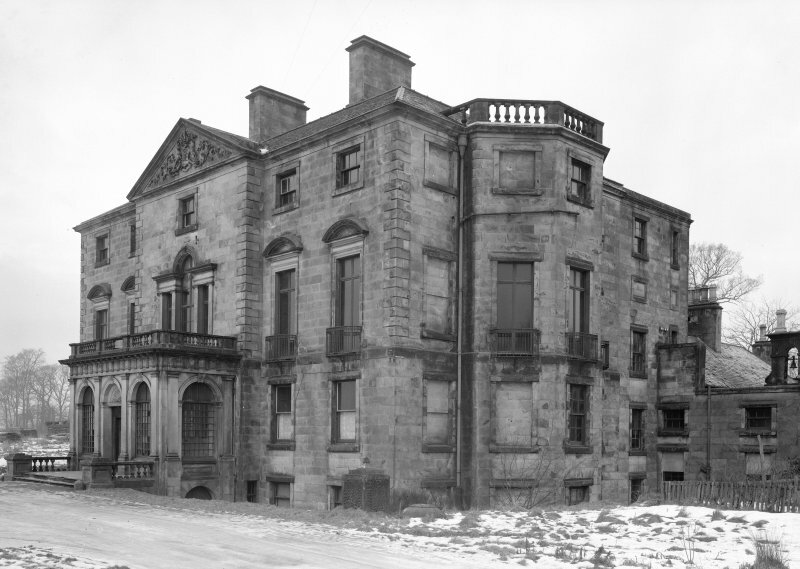 View of Fordell House from SW.
View of S elevation, Fordell House. 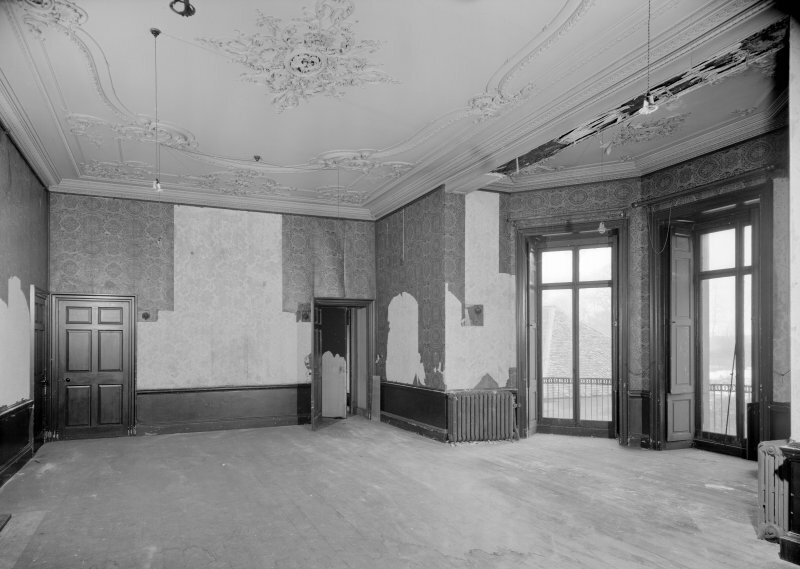 Interior view of Fordell House showing first floor room to left of staircase. 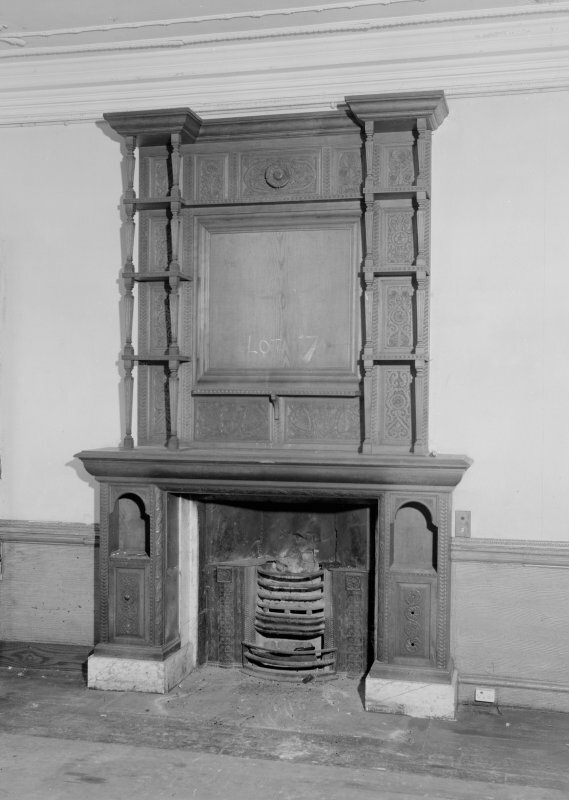 Interior view of Fordell House showing detail of wooden chimney piece in room at ground floor back. 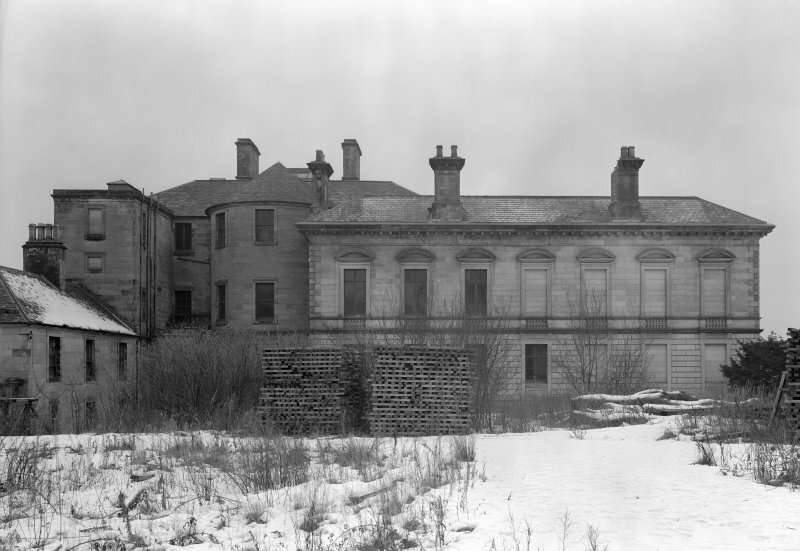 View of Fordell House from W.
View of Fordell House from SE. 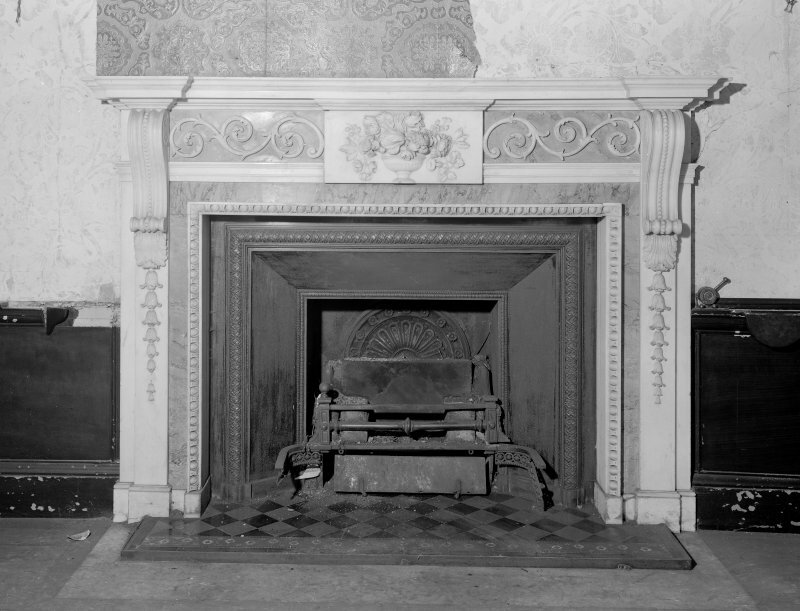 Interior view of Fordell House showing detail of chimney piece in room adjoining the drawing room. 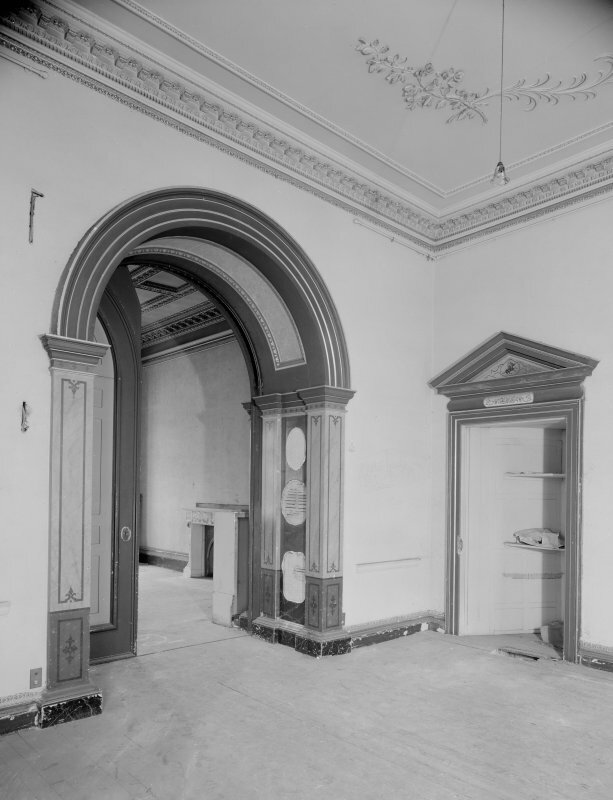 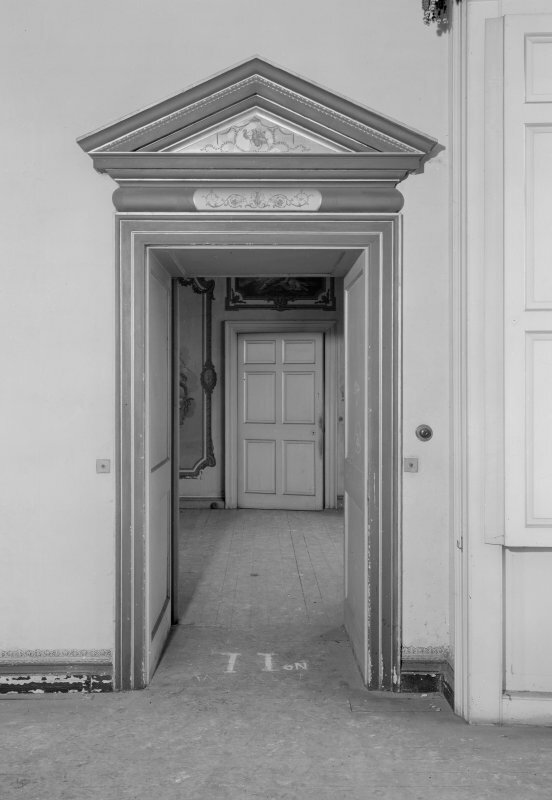 Interior view of Fordell House showing detail of door in drawing room on first floor. 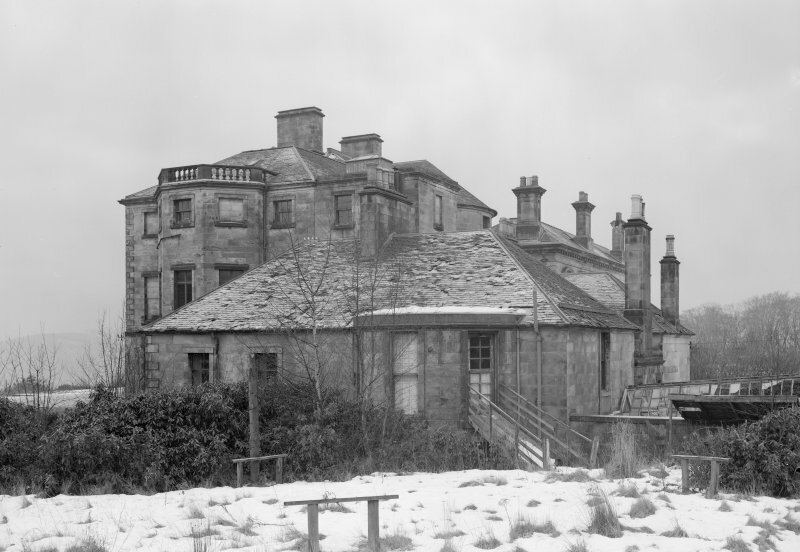 View of game larder of ice house, Fordell House. 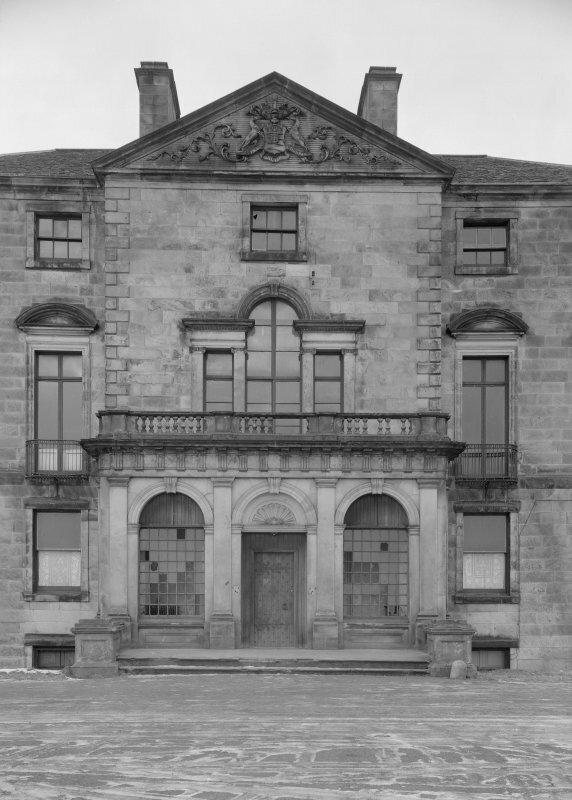 View of Fordell House showing pedimented entrance. 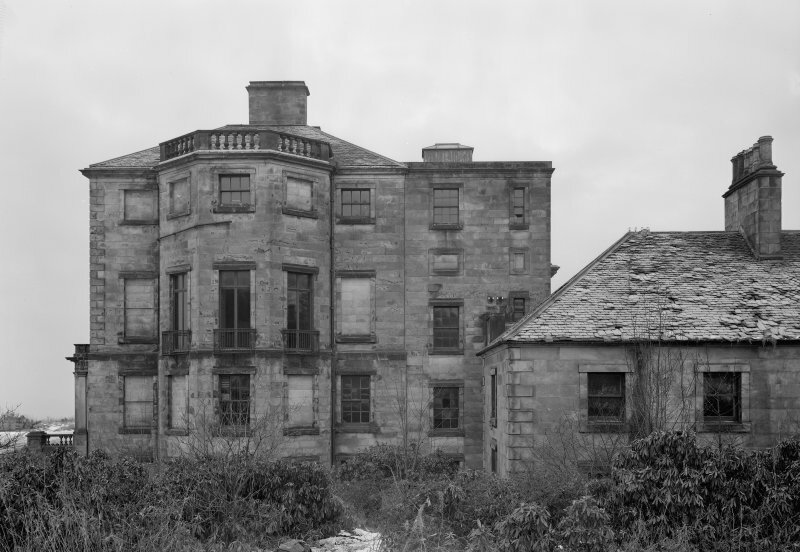 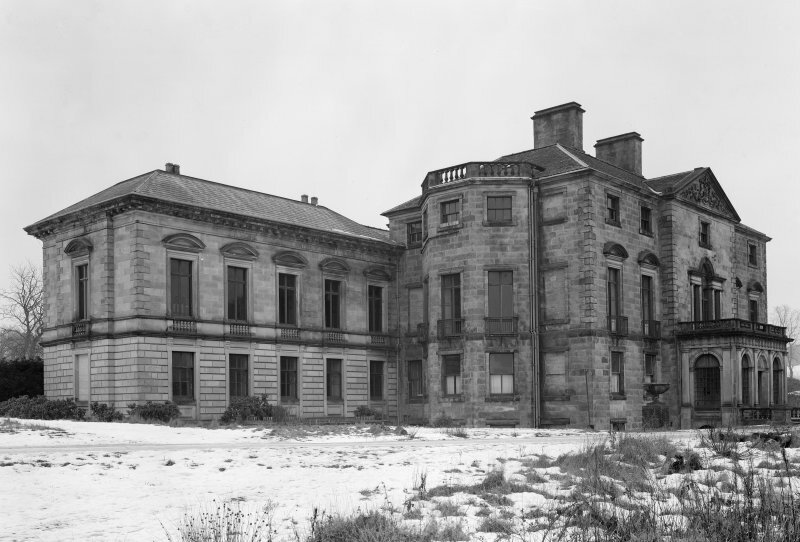 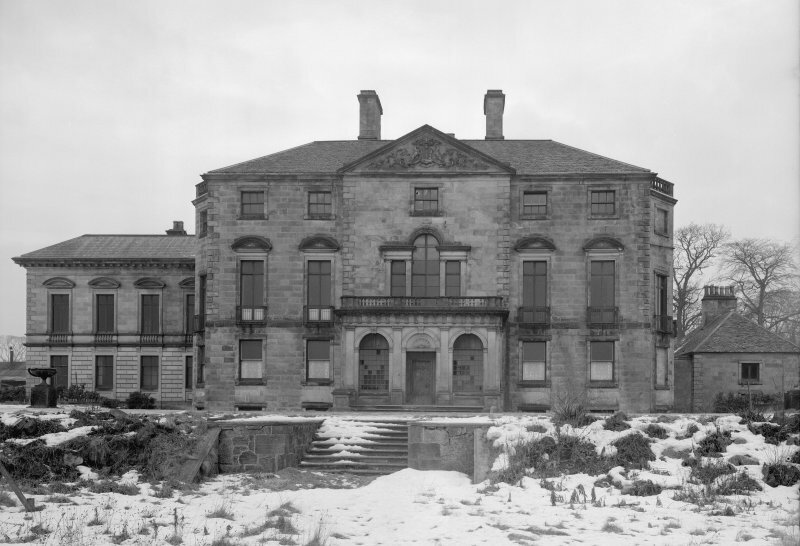 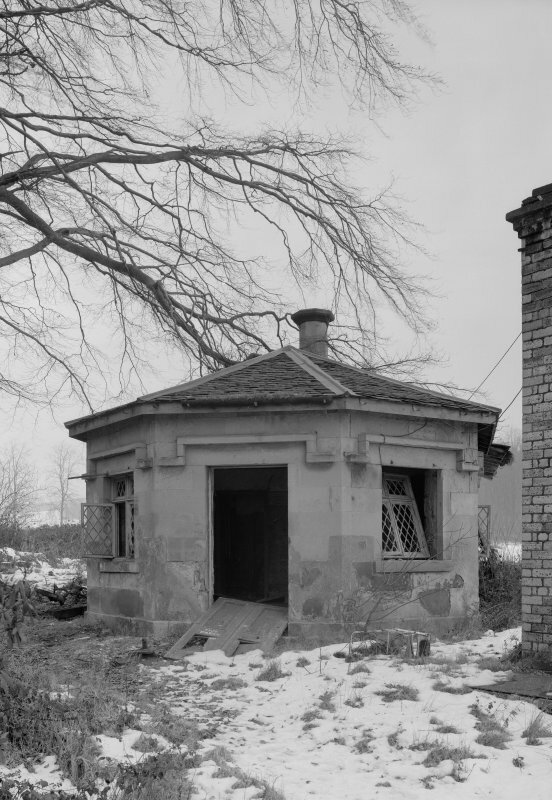 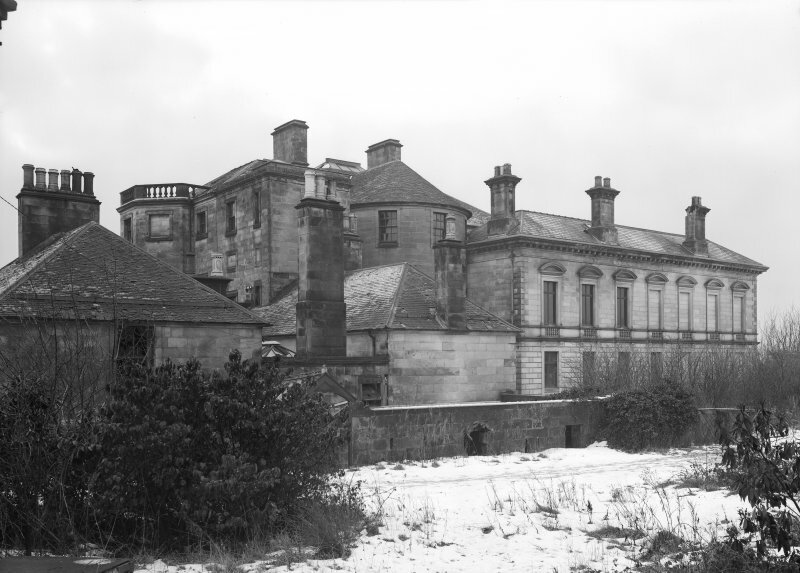 Photographic survey of the exterior and interior of Fordell House, Fife, by the Scottish National Buildings Record/Ministry of Works in January 1963 prior to demolition.